This is a quick way to add some extra flavour to your grain or steamed vegetables or just for a snack. Also, pumpkin seeds are the only seeds that is alkaline forming. 1. 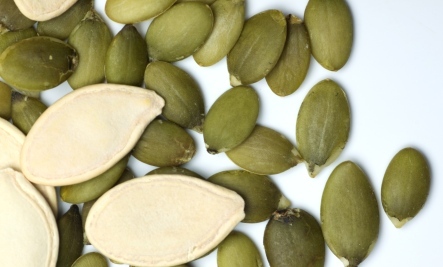 Dry roast seeds in frying pan. 2. Stir constantly until golden brown. 3. Add tamari or soy sauce or Braggs. 4. Sprinkle on top of rice or vegetables. *You can use sunflower seeds instead; they are not alkaline forming. Quinoa Arugula Salad– This is full of good protein from the quinoa and the pumpkin seeds. 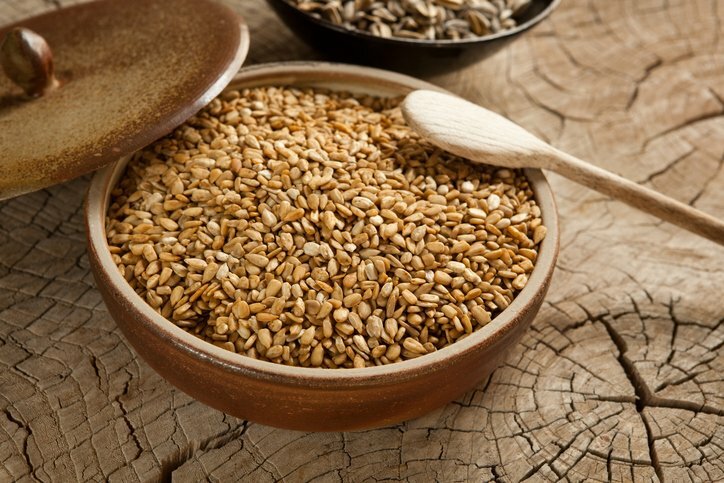 Toasted Sunflower Seeds– When I make toasted sunflower seeds, I make lots and keep them around for sprinkling on salads, steamed vegetables or on a grain like brown rice or quinoa.